Discussion in 'Modified 1995-2001 Explorers' started by fiftyfeetup, August 9, 2011. I'm starting a thread for my sas. The truck is an 01 sport. 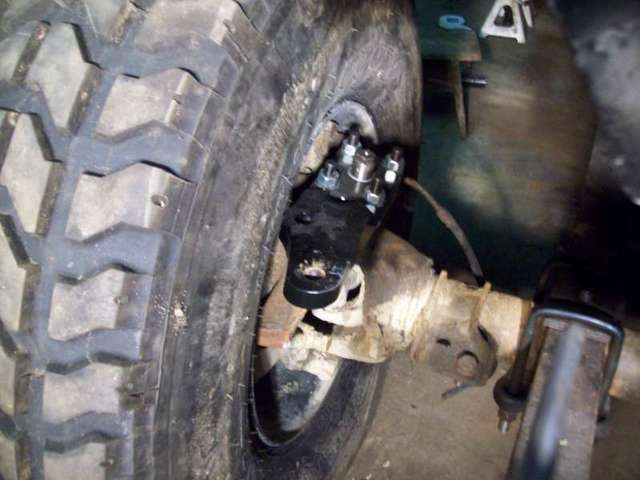 Dana 60's are from a 1979 ford wrecker. It will be used mostly for pulling timber around in the the national forest, a little bit of spotting deer and getting back in the woods for hunting and some farm running. It's not supposed to be pretty, handle well, sit low or get stuck. It's a work truck. Here is a pic as she sits on the front axle. 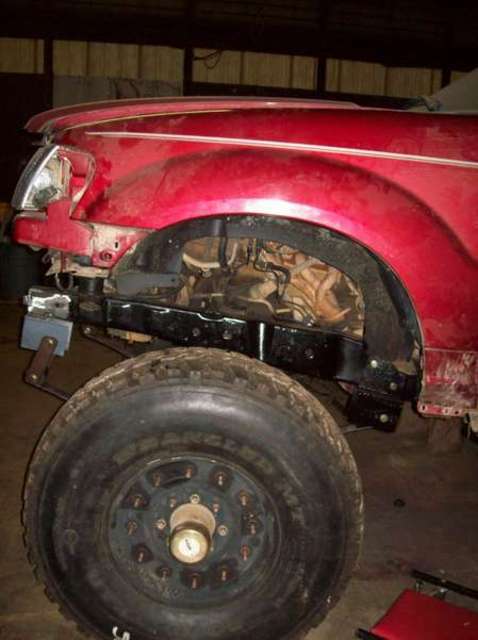 Running 6" lift jeep yj 'monolinear' leaf springs. got them off ebay for $50. 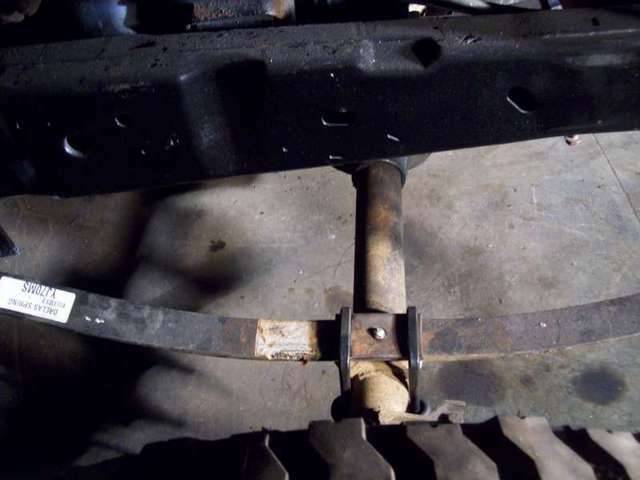 Here is a spring hanger for the front springs- made out of a 6 " I beam with the top cut off. 1/4" plate tabs welded to the bottom with some adjustment holes in case I want to run bigger tires in the future. 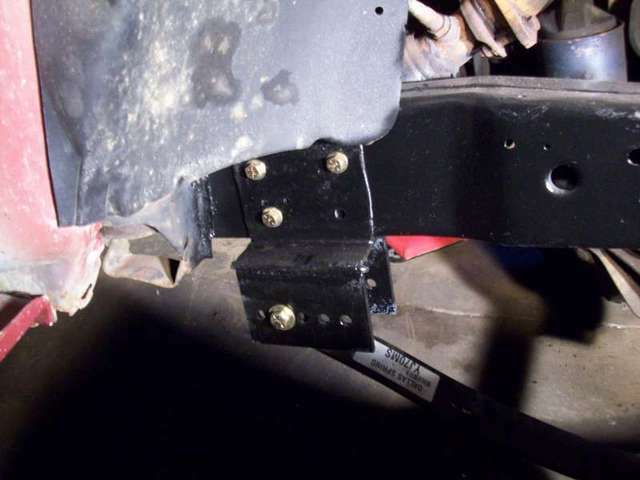 The front crossmember is 3" x 3/8" angle iron with 1/4" plate tabs for shackle mounts. 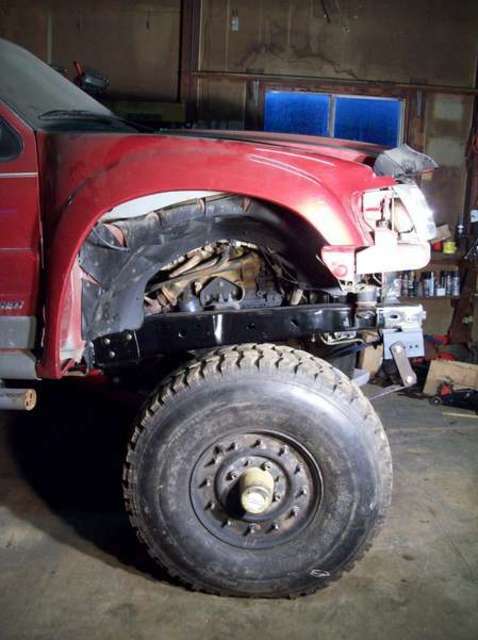 The shackles in the picture are just temporary, I'll make longer ones later to level the truck once I get the back up on the axle to match height. I think I'm going to leave the fiberglass fenders off. 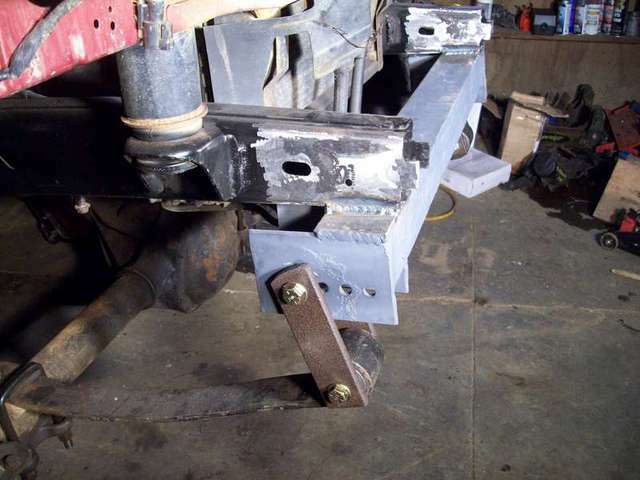 I don't need the clearance since I moved the axle forward, and they really get in the way and are hard to see with. The stock ones are a little better fit, I don't think I'll even have to trim them back if I set the bump stops up right. The tires and wheels are off a hmmwv 37X12.50's with runflat beadlocks. I got all 5 tires, runflats and wheels for $1000 shipped to the house. I'll be running tire chains with them. I will probably get a different set of wheels and studded tires for running in the winter, I doubt that these one's will do well on icy roads, I am going to sipe them though and give them a try. looks good man, any updates? Whatever came of this? I'm curious about what the end result looked like and how well it worked. Great work so far man. I live in Pittsburgh and would really like to see how everything turned out if you're finished with it. I plan on doing a SAS, SOA to my Sport Trac. I'm waiting on my tie rods and drag link to show up. Steering box is installed and steering shaft is hooked up. Will put up a picture when I get it set up. Any updates? I'd like to see this thing in person. working on it still. I need to do brakes, shocks, bump stops and front driveshaft. I'll put a current picture up soon for you all to look at. Updates??? I wouldn't mind taking a drive up and checking out the truck to see the fab work and setup in person. 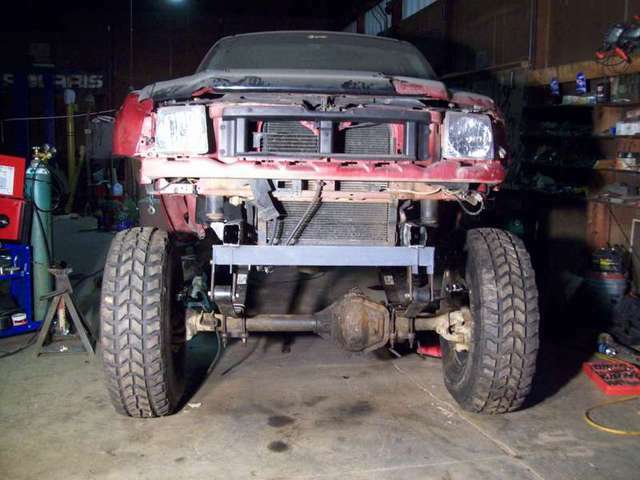 I'm getting ready to cut off the complete front IFS and crossmember this week, already have the rear SOA done.